Here's a short update on Mackenzie's Letter! 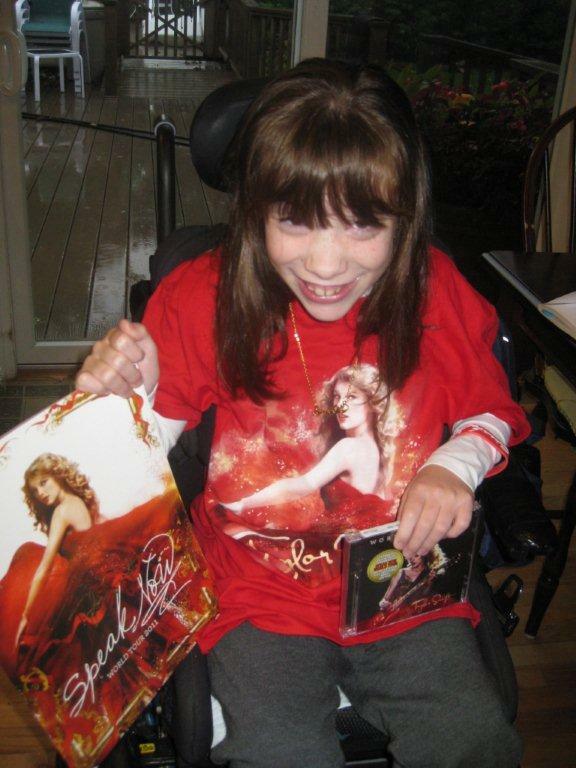 After all the tweeting and Facebooking and blogging and whining (on my part), Mackenzie received a package from 13 Management (Taylor Swift's management company) containing some sweet Swift swag. 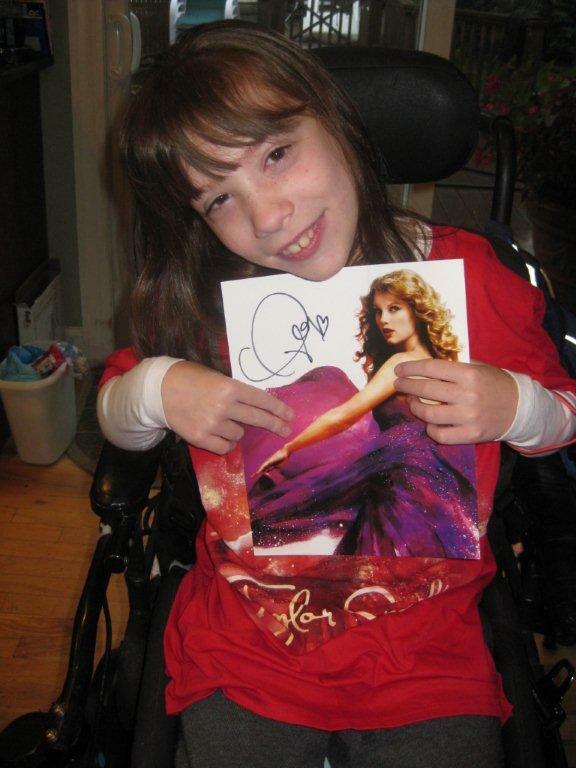 According to Kenz's mom Christine, the package included a t-shirt, a CD, a world tour book, some jewlery, and an autographed picture. As you can see, Mackenzie loves all of it! 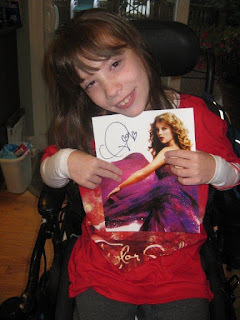 I'm not going to lie and say I'm not a TINY bit disappointed that Kenz didn't actually get to meet or talk to Taylor Swift or even get a letter (yes, it was a long shot, but, you know, DREAMS) but Mackenzie's mom said that since Mackenzie's expectations were so low about all of this (she wasn't even really aware of the campaigning behind it), she was "beside herself with excitement" about the package. To me, making Mackenzie happy was all that matters. So, thank you to 13 Management, and thanks again to everyone who supported Kenzie and her story. Now go out and do something nice for someone! Go on, go! I'm glad something came,and Mackenzie looks so pleased! Well done, Rita.